Fuchs would like to congratulate Zach Leeson on the completion of his NVQ Level 2 Apprenticeship. Zach joined the company in June 2017 as an Apprentice Production Operative. Throughout his 18 Month apprenticeship Zach has gone through a 12-month inhouse training plan, teaching him different areas of production, as well as earning his NVQ Level 2 Diploma in Performing Manufacturing Operations alongside. Zach has particularly excelled in Label Production, coming up with ways to improve procedures within that area and maintaining a high standard of work. Zach has a solid understanding of his role and production procedures, and has become a reliable member of the team. Following the completion of his apprenticeship Zach was offered a full time position with Fuchs. We wish him all the best for the future. "I was first introduced to Fuchs when they became my Motocross sponsor in 2013. With Silkolene being the brand leader, this was a fantastic opportunity, which later developed into Fuchs offering me an apprenticeship within their Maintenance team. I joined the company in August 2017 and began my 3-year engineering apprenticeship. Working with such an experienced team and getting involved in various projects has helped me improve my knowledge and skills considerably. Also, learning both mechanical and electrical engineering has helped me to develop as an engineer. With Fuchs investing their time to train me to become an engineer as well as sponsoring me outside of work shows their commitment and how much of a great company they are, and I hope to show the same commitment back." 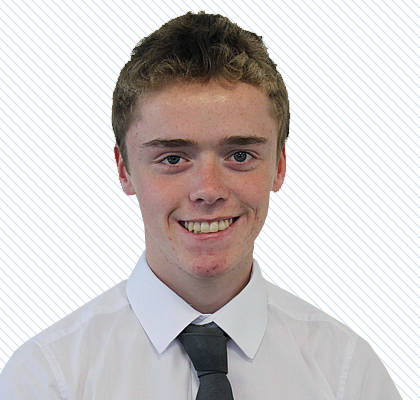 “I joined FUCHS in 2014 as apprenticeship Marketing Assistant. "Since joining, FUCHS has provided me with the perfect grounding and structure to help me achieve my career goals in a friendly and supportive environment. FUCHS supported me by allowing me to study a Level 3 NVQ In Business Administration followed by Level 4 Certificate In Professional Marketing. In the future I plan on taking this further and studying Level 6 Diploma In Professional Marketing. "The best part about my role is project-managing campaigns and trade shows from start to finish, seeing the end result and hearing positive feedback. 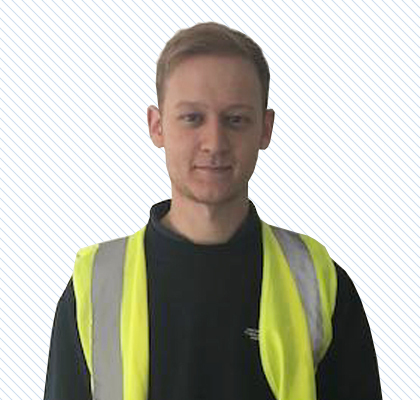 "I have been with FUCHS since July 2017, when I joined as an Apprentice Laboratory Technician. 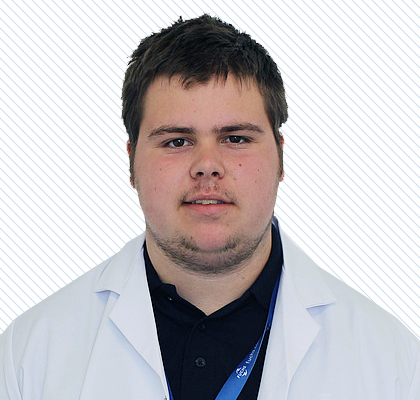 "FUCHS has given me real-life working experience whilst studying for a Level 5 Laboratory Technician course, with prospects of further education. The exposure to the range of tests conducted in the workplace is something that University could not have taught me. "Having spent time in Quality Control, R&D and Customer Services Labs, I have seen the great care FUCHS takes in what it does, and its employees. The support that the team and FUCHS give me both towards work and to complete my apprenticeship is second to none." "I became an IT Support Apprentice at FUCHS in July 2017. "Having always had a passion for IT, I found this to be the perfect opportunity. The fact that each day brings new challenges is my favourite part of the job. Tackling these challenges and seeing how I have helped others gives me great job satisfaction. "Having nearly completed my Level 3 IT Application Specialist Course, FUCHS have already lined up a Level 4 course for me to continue my education. They are dedicated to making sure their employees are always learning and developing. "The support available from my colleagues makes FUCHS such an enjoyable and productive environment." "I have been with FUCHS for just over 3 years. I joined as an Apprentice HSEQ Assistant. "My favourite part about my role at FUCHS is the responsibility I am given. Taking on projects and audits has helped develop my managerial skills in an industry which is constantly growing. "I completed a Level 3 in Business Administration through FUCHS, and they have continued to develop my knowledge of auditing and compliance."